John Dewar at Boston Chops Downtown. Forty years ago, Americans ate a lot of meat. When butcher John Dewar went into business for himself, setting up a meat-processing facility in Boston and opening a retail shop in Newton Centre, both bearing his name, there were plenty of high-end meat suppliers in the area. Dewar could have lost his shirt. Instead, he made friends with the young chefs just emerging from culinary schools — he calls them “the kids,” because he was so much older (33 at the time) — and he instinctively understood that they were itching to do more exciting cooking than they’d been taught. So he pitched cuts others hadn’t seen the value of. Skirt steak is ubiquitous today, but when John Dewar & Co. came on the scene, it had only recently stopped being ground for burgers. Then the new guy on the block did something else other purveyors didn’t: He booked tables at his customers’ restaurants. By day, he acted the role of meat whisperer, giving encouragement and helping manage costs and save money. By night, he dined out on his own product — on his own dime. “He was a great customer, always,” says chef Jimmy Burke, who now lives in Bridgton, Maine, west of Portland, and, with his wife, Joanie Wilson, owns and operates restaurant Vivo. 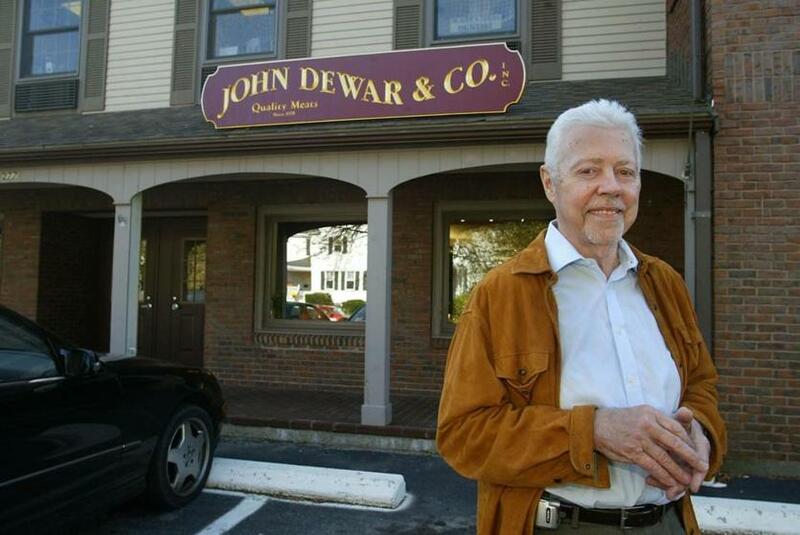 When Burke owned Allegro in Waltham, he’d regularly see Dewar in his dining room. “This guy’s spending money in my place,” says Burke. “I’m doing business with him.” The two became great friends. John Dewar, shown shortly after opening his Wellesley shop in 2004. Dewar retired at the end of December and last week, meat purveyor to the stars T.F. Kinnealey & Co., with whom Dewar has worked for the last dozen years, threw him a party at Boston Chops Downtown. Chris Coombs, the restaurant’s co-owner and chef —  whom Dewar met when Coombs was 22 — toasted his mentor. “He taught me how to grow up in this business,” said the chef, now 34, who is also co-owner of Boston’s Deuxave and dbar. 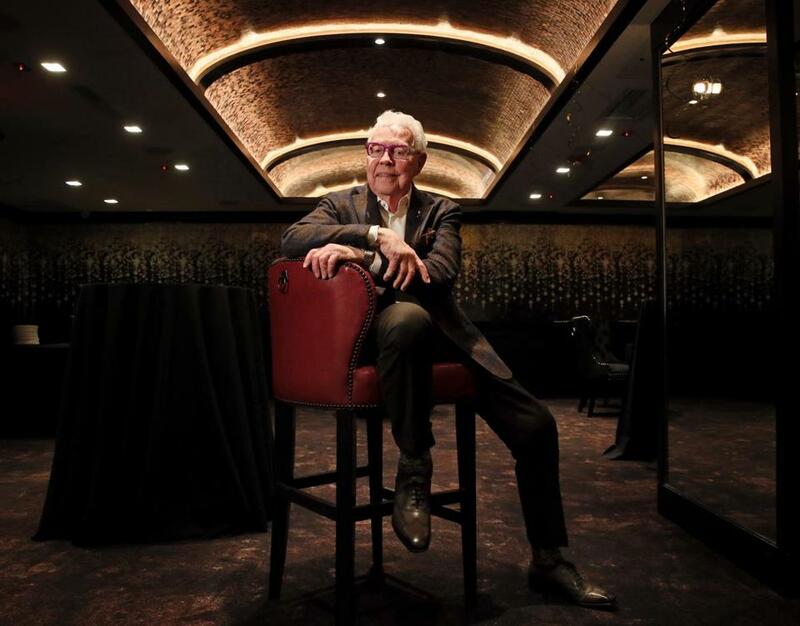 Chris Schlesinger was on the line at The Harvest when Dewar was sending the restaurant pricey lamb racks, which Schlesinger couldn’t afford when he left to open East Coast Grill. Instead, Dewar suggested boneless lamb loins, which were half the price then. He schooled the young chef on pork shanks, hanger steak, and tri-tip steaks. “Thirty years ago, that was pretty unusual,” says Schlesinger. Dewar’s wife, Bonita (“Bonnie”) Welch, passed away in 2002. She and Fred were his partners. “After that, I was running the whole thing myself, 35 employees, 10 trucks, it became a treadmill. I was finding myself ill-equipped to do this alone, and it was too late to search for new partners.” Through the years, Dewar had a friendly rivalry with the Kinnealey family and met them for drinks monthly. In 2006 he sold them his stores and plant and agreed to stay on. Meanwhile, sales at the retail stores were declining. Even Dewar’s dedicated clientele were succumbing to the allure of one-stop supermarket shopping. Kinnealey, which specializes in portion-controlled meats in Cryovac packaging, closed the Newton Centre store in 2012. “They asked me what I thought of that. ‘You do what’s best for you,’ ” Dewar advised. Wellesley closed two years later when the lease came up for renewal. The Newton location is now Sycamore restaurant and the old Dewar sign hangs in the space. Even though Dewar has retired, his brand is still sold to Volante Farms in Needham. “John had cutting and aging protocols,” says John Kinnealey, president of the Brockton-based company, which will stick with them. The company has retail outlets at the Fruit Center Marketplace in Milton and Hingham. In Dewar’s time at his company, says John Kinnealey, he became the bridge between the last generation and Kinnealey’s own. “He was senior to us in terms of age and experience, but had the same philosophical approach to doing business,” says the president. Kinnealey meats was bought a couple of years ago by Performance Food Group, a publicly traded company based in Virginia. The meat business is historically tough and physical. In Dewar’s heyday, meat cutters spent their working hours in very cold rooms. “I’m sure everyone who worked in that environment has arthritis in one or more joints today,” he says. “I do.” In the modernized cutting rooms at Kinnealey’s plant, fans don’t blow directly on workers, as they used to, but it’s still uncomfortably chilly to someone not used to it. At the Boston Chops party, one of the former workers said they could not have gotten through without Dewar’s guidance. He sourced anything chefs were looking for — beef cheeks and hearts, sweetbreads, brains, veal tongue, liver, oxtail, bone marrow, American lamb, heritage-breed pork, Wagyu beef, thin-skinned chickens that turned crisp in the oven. But Dewar himself likes simpler fare, happiest with a “nice prime sirloin steak.” At home, he sears a 12-ounce steak in a hot cast-iron pan, and finishes it with garlic and butter. Though there was a time when it was a single portion, now it serves two. There’s no baked or mashed potato, but cannellini beans sauteed with oil and garlic, and a salad. “I’m looking after my heart and my weight,” he says. Never an adventurous eater, Dewar remembers Gordon Hamersley routinely ordering brains for Hamersley’s Bistro, the South End restaurant he owned with his wife, Fiona. One night, Dewar was in the dining room. “This whole brain comes out and the waiter says, ‘Compliments of the chef.’ He was tormenting me.” Dewar roars with laughter.